Georgia ghost story of a Hollywood screenwriter’s frightening stay in a haunted hotel. Written by Craig Dominey. Jack’s friends always told him he had the ultimate job. For fifteen years, he had been working as one of Hollywood’s most trusted location scouts. Now, in movie lingo, a location scout is someone hired by a producer to find locations where a movie can be shot. Jack was a seasoned pro who could find even the most obscure locations anywhere in the world. One spring day in 1998, Jack received a script from a major Hollywood studio that sounded like an easy job. The film took place in the 1940s, and many scenes occurred in a ritzy downtown hotel. Since the script also called for scenes in a cypress swamp, Jack decided to take a journey through the American South to see what he could find. Jack had never been to the Deep South before. Since he had plenty of time and was on the studio’s payroll, he took a leisurely train ride through the area to absorb this new world. After several weeks of searching, Jack boarded a train for Atlanta. He had found plenty of swampy locations in Louisiana and Mississippi, but still hadn’t found the right hotel. Certainly in the so-called “capital of the New South,” he could find what he was looking for. The studio made reservations for him at the Barrow Hotel; a historic downtown building that Jack had researched on the Internet, and figured might work for the film. Jack’s train arrived in Atlanta that night in a pounding thunderstorm. Thick sheets of rainwater obscured his view of the city, and power had been knocked out on the streets. Jack waited in the empty depot for his driver, but no one arrived. The only car sitting outside was a restored, 1940s-era taxi with the name “Hotel Scofield” painted on the side. Sick of waiting, Jack marched up to the taxi and tapped on the window. The window rolled down, and Jack was surprised to find that the young driver was dressed in a 1940s-era cabby uniform. “Why on earth would you want to go there?” asked the driver in an incredulous, though mannered, tone of voice. As the taxi rumbled through the dark Atlanta streets, Jack noticed that the interior of the cab was in great shape, but not overly so. It didn’t look like it was restored as much as it was used carefully. Jack had worked on cars long enough to know that, from the sound of the engine, the Hotel Scofield must have taken great care of its taxi fleet. After what seemed like hours driving through the misty darkness, the cab finally pulled up to a brightly lit building. “Here we are, sir,” said the driver as he pulled beside the doors. Jack got out, and his eyes widened immediately. The Hotel Scofield was a grand, 15-floor brick edifice very much in the style of 1940s luxury hotels. It was a solidly built, narrow building, with a golden awning, red carpet and gas lamps glowing warmly in the foggy night. The doorman smiled at Jack and opened the door into the lush lobby. 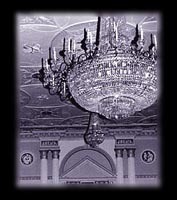 Sparkling crystal chandeliers hung from the ceiling, red velvet curtains flowed over the windows, and plush chairs and sofas invited weary guests to relax in luxury. Jack smiled as he looked about – he had hit the jackpot. Like the taxicab, the hotel didn’t look restored as much as it did looked after. The management seemed to take great pride in transporting its guests to another time. It would work perfectly for the film. With that, he signaled a bellhop to grab Jack’s bags. As Jack followed him toward the elevator, he noticed something strange. The guests in the lobby wore fancy evening wear – the men in tuxedos, the women in long vintage dresses. There were also soldiers milling about in green, World War II-looking uniforms, grabbing the attention of the giggling single ladies. Champagne was flowing everywhere. Children in their best suits and dresses ran laughing around their parents’ legs. All smiled warmly at Jack as he walked by. Have I wandered into a costume party, thought Jack. Or worse – is someone already shooting a movie here? Jack heard a piano player playing the standard “Auld Lang Syne” in the smoky cocktail lounge. Then he noticed the decorations – a giant Christmas tree glowing brilliantly in the main sitting area, a wreath hanging over the fireplace, greenery with red bows draped over the railings. Nothing unusual – except that it was mid-April. The crowd suddenly closed in behind Jack. Jack was not an easily scared man, but he was impulsive. He whirled around and charged back through the crowd. Two soldiers grabbed his arms and dragged him back to the elevator. The room began to spin around them, and Jack could swear he saw the Christmas decorations starting to melt. The walls morphed into a sooty black color, and the stinging smell of smoke was everywhere. Horrifying screams filled the room, but the revelers stood silent, the same silly grins plastered on their faces. The room heated up rapidly to an unbearable temperature. Black smoke now filled the air, and Jack’s blood ran cold as he realized that the place was on fire – but no one wanted to leave. With every ounce of strength he had, Jack wriggled free of the soldiers and charged back though the crowd, knocking over anyone who stood in his way. Hands grabbed desperately at his clothes through the blinding smoke, the screams deafening. Suddenly, the ground dropped beneath Jack’s feet. He tumbled down the lobby stairs, his head smashing against the marble floor. The room spun wildly around him, then went black. Moments later, Jack opened his eyes. He found himself lying on a dirty floor littered with garbage, chipped marble and broken glass. He sat up dizzily, wiped the trickle of blood from his forehead and gazed about the room. He was shocked to find that the ornate hotel lobby had fallen into ruin long ago. The windows were broken out, and the rooms were black and gutted. Vagrants had spray-painted graffiti on the walls. “Hey!” shouted a gruff voice behind him. “I…I don’t know,” was all Jack could say. The policeman studied Jack for a minute, then helped him to his feet. “Did somebody attack you?” he asked. “When did it happen?” asked Jack, almost afraid of the answer. Ellis Hotel (former Winecoff Hotel), Atlanta, GA 33.758269, -84.387711 Stories: One More RoomThe old Winecoff Hotel was the site of one of the worst hotel fires in American history (1946). After sitting vacant for years it has now been remodeled into the elegant Ellis Hotel, but a historic marker is still visible. yeah that’s a sad and scary story… were the circumstances in this story really took place in reality??? if he had gotten in the elevator would he have become one of the casulties seeing as how he was obviously caught in some kind of time warp? Seems this may have actually been about the Winecoff Hotel. That’s so sad and scary. My heart is beating really fast right now. If he went into the elevator would he be dead? Great story! Yes, I believe it’s the Winecoff! good one!! I love stories like this! Maybe its just me, but this reminds me of The Eagles – Hotel California. Great story either way. since all the rooms on the higher floors were destroyed in the fire, if he had went to his room would he have died? losing its character. Time warping stories always have appeal.